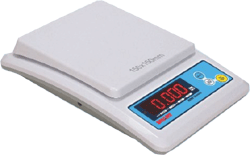 Its used for small weighing for home and office. Battery based. LED Display. Easy to use and operate.